Unclear title is a common cause of concern for mortgage lenders. It results in monetary losses when title transfer between seller and buyer is overseen with the lack of fiscal prudence. If you are a lender and share the same concern, it is your responsibility to order title services to keep you safe in the event of disputes between buyers and sellers after mortgage closure. Mortgage title support services are resource-intensive tasks, which is best left to experts like us. At Outsource2india, we possess a high-level know-how of title ordering, title analysis, property transfer rights, and title insurance. Being a one-stop solution for your mortgage needs, we have 200+ certified mortgage professionals who are adept at legal requisites and regulatory compliances to provide complete assistance for mortgage title. To avoid legal contention from coming in the way of business it is crucial to have a title insurance that safeguards lenders and buyers from financial risks. Lenders and borrowers must require a separate insurance because lender's insurance does not protect a buyer's interest. Outsource2india orders a mortgage title on the lender's behalf to ensure that the collateral has a mortgage lien. By noting the buyer's need, we search and order titles on city, county, and even specific to the area. Optionally, if you have the infrastructure to carry out a title search, we can assist you with ordering. Our expert loan officers collaborate with title companies to fetch highly-accurate title reports. We routinely follow-up with concerned stakeholders as part of mortgage title support. A clear title brings a big relief to both lenders and borrowers. When you outsource title support services to us, we scan property title to look for unresolved disputes and irregularities. Mortgage title support service is a fraud deterrent that alerts the lender if a property is riddled with legal complications and do not qualify as an ideal collateral. In the search we look for past lawsuits, liens, defaulted taxes, and legal claims tied to the title that can affect the lender. A commitment report is the endmost summary of title search and ordering. It encompasses the title insurance conditions. The title commitment is a mop-up process to unknot faults and peculiarities that were picked up by the title assessment service. The commitment report will facilitate mortgage closure between lender and borrower. If you lack the know-how of fetching title insurance for your clients, we got you covered. We offer an array of title support services which include obtaining title insurance. 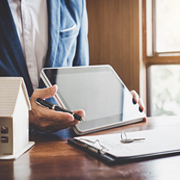 With broader knowledge of policy terms and compliances, we offer back-office mortgage title support where data is extracted and indexed from documents using automated tools. In this way, we ensure that your insurance requirements are met within a minimum timeframe. Why Choose O2I's Mortgage Title Support Services? We are an ISO certified company as well as a member of the mortgage bankers association (MBA). Our services offer limitless potential to see through faulty titles to give lenders a shot at serving responsible borrowers by mitigating their financial risk. If you want to work with people who would treat your confidential data with diligence, you look no further. Working with us is a risk-free experience. We safeguard your data by handling with care. From title examination to ordering a mortgage title we follow proven practices that deliver results of superior quality. Every project involving mortgage service is handled with care to lower errors and avoid rework. We double-check every report to ensure that the output adheres to the SLA. Industry compliances and policies are labyrinthine. It becomes challenging for lenders to stay abreast with every regulation. This is where we come in. With decades of experience in the mortgage projects, we handle your needs within the stipulated time. The reason why we are a notch above the rest is that we specialize in customizing services that allow you to scale up when required. We not only serve clients who outsource high-value projects, but also individuals and small enterprises with a limited budget. Our mortgage services are priced flexibly to let you choose services within your budget. If you are tired of bot responses, fret not! We assign a dedicated human representative who will be your exclusive agent for communicating with us. You can get project updates and inputs in real-time without delay. We know why it matters to have qualified experts on the task. With varying challenges such as complexity and volume we know it is best to let accredited mortgage professionals (AMP), certified mortgage banker (CMB), certified residential underwriters (CRU), certified mortgage bankers (CMB), and residential certified mortgage services professionals (RCMS) with 10+ years of experience to handle title support services. This guarantees satisfaction and peace of mind. To facilitate fast and accurate services our teams are supported by state-of-the-art infrastructure where all latest technology and automation tools are housed and readied for deployment once the project commences. We have the most secure data exchange system that eliminates the chance of data being exposed to unauthorized elements and misuse. We routinely check the health of VPN and secure FTP to keep them ready for securely pushing and pulling project files. Want to reach us immediately? Get in touch by phone or email and get responded in no time. We know time is money and have qualified resources to provide 24/7-time zone support no matter where you are. Outsource2india is an ISO certified mortgage title support services outsourcing company with 20 years of industry experience. We offer a range of mortgage services that are trusted by many across the mortgage industry. With the merits of solving several challenging title support requirements, we have been a proven leader in the mortgage sector. With a team of 200+ certified mortgage professionals, we handle each project in the way you expect it to be done. Since we use automated tools for data aggregation and compliance adherence, you face minimum risk by partnering with us. Get in touch with us if you want a reliable mortgage title support services to speed up closure.